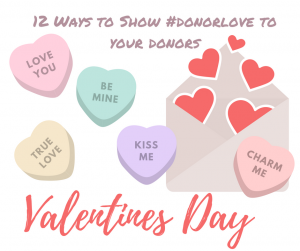 Valentine’s Day is right around the corner and it’s a prime opportunity to share the love with the donors who make your work possible, grow relationships, and – coincidentally – raise money! 2. Add handwritten Post-it notes filled with extra gratitude to your next impact update. 3. Send a handwritten thank you from a recipient of your organization’s work like Living Yoga. 4. Send donors a little gift. Nothing expensive…just something to let them know you care. 6. Set up a face-to-face meeting for coffee. No ask, just gratitude and an update. 10. Send them a video to say thank you. 11. Turn #donors’ birthdays into #donation days. 12. 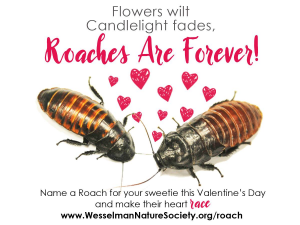 Create a clever Valentines campaign like this one from Wesselman Woods Nature Center. What will you be doing this Valentines Day to show your donors you care?